Coal India is aiming to meet the 610 million tonne production and off-take target as per the pact it signed with the coal ministry, despite a production momentum dip in the initial months of the current fiscal, officials said. 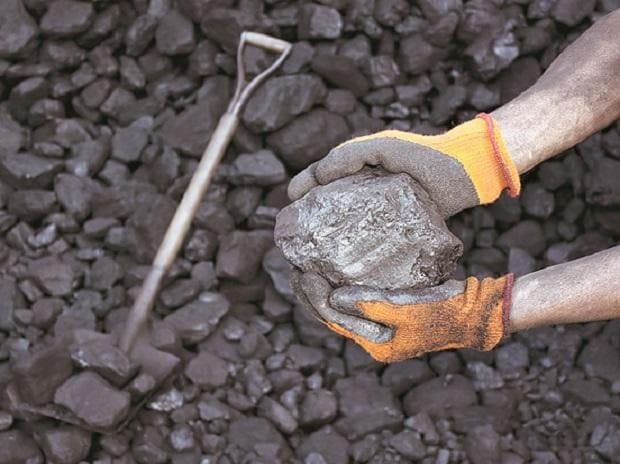 After the high production growth rate of 15 per cent in the Apr-Jun quarter of FY19, the dry fuel miner had attempted to meet an internal aspirational target of 652 MT for the year but things did not work out as per Coal India's plans, sources said. Coal India said the memorandum of understanding (MoU) target for production and off-take is 610 MT. Based on the trend, production could be around 590 MT, an analyst tracking Coal India said, declining to be named. Coal stock at the pitheads of the miner was at 34.76 MT at the end of February. Mahanadi Coalfields Ltd and South Eastern Coalfields Ltd, which were facing agitations, saw an uptrend in production in February, by 17 and 6 per cent respectively over the corresponding month of the previous year. The two subsidiaries account for about half of Coal India's total production. But strikes and disruptions in some of the mines there impacted production. Officials said efforts were being made to resolve issues but with the election round the corner, they are keeping their fingers crossed. Coal India's total production as on February stood at 528 MT, up 6.6 per cent in the first 11 months of the current fiscal. Off-take was at 548 MT during the period. A Coal India official said the company clocked 6.6 per cent growth in production which is an increase of 32.62 MT in absolute terms. Total coal off-take to power sector in the 11 months till February 2019 was 440.8 MT, against 411.5 MT during the same period of the previous year, registering a growth of 7.1 per cent.